Today I'm drinking Bell's Cherry Stout brewed by Bell's Brewery in Comstock, Michigan. This is a repeat from September, 2009. I hadn't seen this one around my local Total Wine in a long time, so I asked Ed Roberts to bring one from his Ft. Lauderdale store on a recent guest appearance in Pembroke Pines. It was being held at customer service for so long that they put it back on the shelf, where I rescued its lonesome self yesterday. Man, the store manager there must be impatient! You have my number! Simple label with cherries in the foreground and a tree in the background. 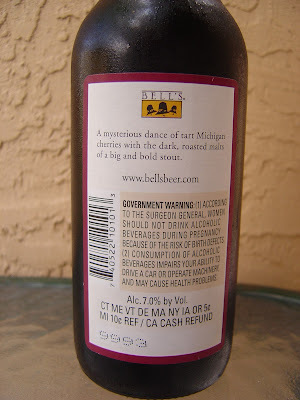 The back label says, "A mysterious dance of tart Michigan cherries with the dark, roasted malts of a big and bold stout." Batch 9993. 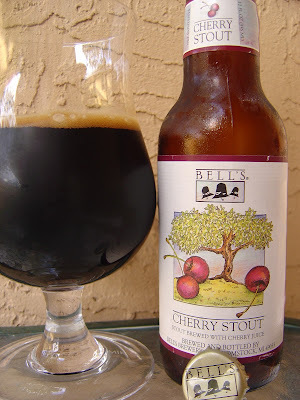 Rich chocolate and fruity cherry aroma. Surprise, right? But it smells very nice. Chocolate with tart cherry flavors intermingled, very juicy. So far very unique. I was surprised that there was also quite a bit of smoke. Cocoa and earthy flavors are also present. Low to medium carbonation, sort of flat but fine. Medium body at best, could have had a little more depth. Balanced and never sweet. 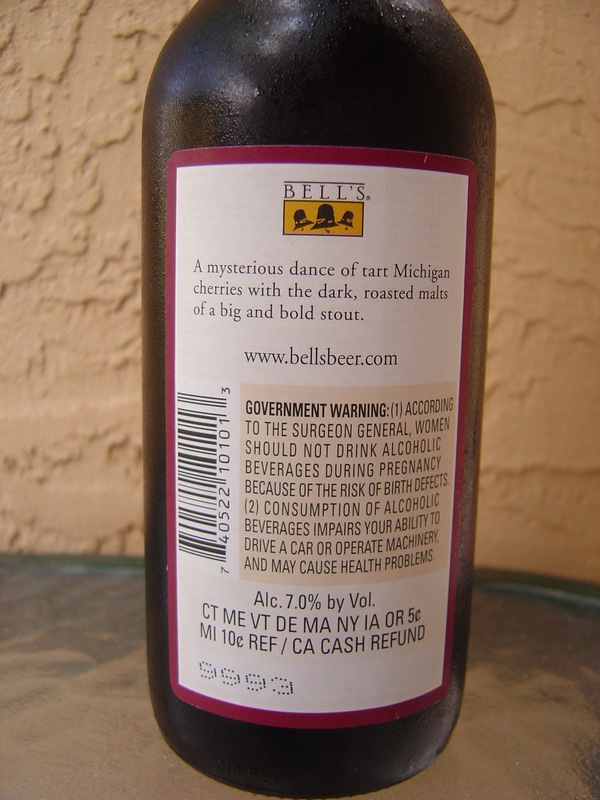 The 7.0% alcohol is not very noticeable. You finish with a touch more sourness. I think the chocolate and cherry complement one another very well. Nice beer.